The yesteryear heroine of the 90s, Eswari Rao, who began her career with a dud opposite Vijay, went on to star in numerous movies in Tamil, Telugu, Kannada and was seen playing several important roles in flicks like A Aa, Brahmotsavam to name a few. Recently, the actress has returned to form and how! 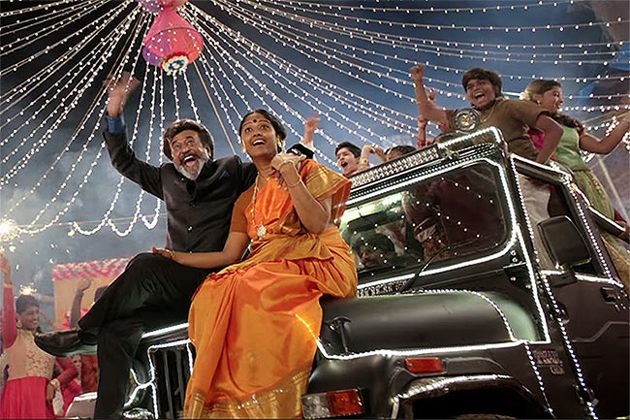 Eswari Rao has made a striking Comeback to Tamil cinema, playing the female lead to none other than superstar Rajinikanth himself in his latest release Kaala, where she played his wife, and delivered a humor filled performance. Even as the senior actress is receiving accolades from all corners for her impressive performance which has struck the chord with the audience, she has now been roped in to play an important role in Varma, the Tamil remake of Arjun Reddy, directed by Bala and starring Chiyaan Vikram's son Dhruv Vikram.